The next lesson, one of the students asks an interesting question. She says, “Next week, I am going home. I would like to continue studying in my country. I don’t know how to choose a good school there. Could you help me? How do I know if the school is good or not? My teacher says, “This is a very good question. I believe that when you read, listen and speak a lot, you don’t have to go to a school. You will learn English naturally by using it. But if you want to pay for your education, a good teacher can help you learn faster. If you want to know if your school is good, before the first lesson of the course go to www.testlanguages.com. There you can find how many words you know. 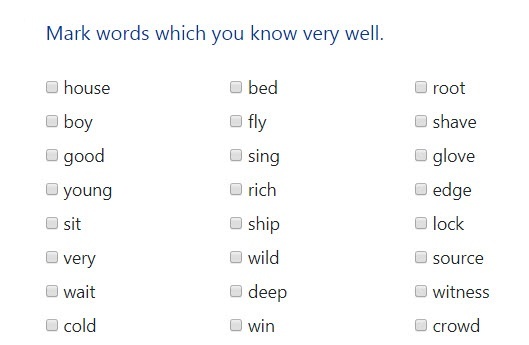 After 5 lessons at the new school, do the test again and you can see how many new words you know. If you are happy with your progress, you can continue paying for your lessons. It is also important that you enjoy every lesson and you look forward to the next one. It is important to enjoy every activity which you do with English. This is great news for me. I didn’t know that it was possible to have a private lesson with my teacher. Soon, I am also going back to my country and I want to have private lessons with my teacher. When you go to school, you have to see your progress and enjoy every lesson.